Aliens' Travel Permit, compared with Tibet Entry Permit, is not the must to enter Tibet. However it’s indeed a must for foreigners to visit the areas outside Lhasa, like Shigatse, Shannan, Nyingchi, etc. 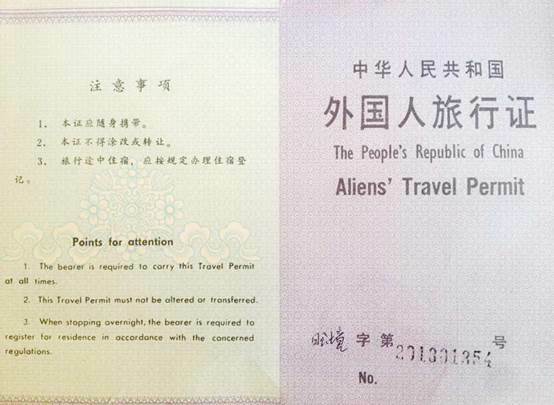 Alien’s Travel Permit is a Permit issued by the Public Security Bureau, so it is also known as "PSB". PSB allows the tourists to visit places that are politically or military sensitive or areas that are not declared open. Usually a single permit for the whole group would be enough, on the Alien’s Travel Permit, how many people are traveling together are clearly stated, also coming along a page with all the travelers’ name list. Who needs a border pass when traveling in Tibet? Since many places in Tibet are in the border areas or haven't been entirely opened to tourists, no matter the Chinese Citizen or domestic citizens (including Hong Kong and Macao citizens) must apply for Alien’s Travel permit if they want to enter these areas. Otherwise, they will be turned down. Non-Chinese passport holders - US citizens, UK citizens, Australians, Canadians, Germans, etc. Basically all the foreigners all over the world. The overseas Chinese, who do not have Chinese passport or ID card. So we actually can say that, everyone who needs to visit places beyond Lhasa city, need an Alien’s Travel permit. For Chinese citizens who have valid ID card can apply for it with their Identification Cards at the police station where they keep their household registration. We suggest you get a certification of travel at the Tibet Tourism Bureau before applying for a PSB in case some police stations may reject your application. How to apply for the Aliens' Travel Permit? When you and your trip advisor discuss about your tour, they will know whether they need to arrange the Alien’s travel permit for you. If you only do a Lhasa city tour, you do not need a Alien’s Travel Permit for your trip. But if you travel further without a PSB, you will be failed to continue your further travel at the check point. An Alien’s travel permit is required both for Chinese and foreign visitors. And for the Chinese citizen could apply the Alien’s in China mainland at the Public Security Bureau, or could also get it in Lhasa like all our foreign tourists. Unlike other permits, for foreign tourists, the Aliens’ Travel Permit is applied after you entering Tibet. The PSB permit is issued by the Foreign Affairs Section of the Local Public Security Bureau (PSB). It can be easily applied in Lhasa, Shigatse, Nyingchi or other prefectures. So if you fly to Cities like Nyingchi, you can also get your Alien’s Travel Permit there, no worries. Your guide is required to apply the Aliens’ Travel Permit on behalf of you. For the PSB arrangement, The original passport, China visa and the Tibet Entry Permit need to be submitted to the Foreign Affairs Section of Public Security Bureau. With an easy procedure, it may normally take about 1-2 hours. to get it done according to how many members in the group and the cost is 50 Yuan/person. 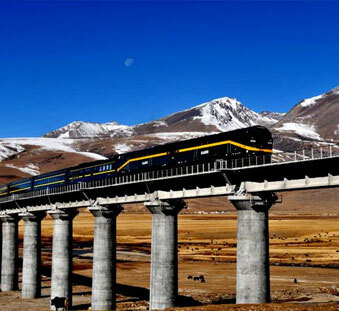 If you want to do an overland tour from Yunnan, Sichuan, Qinghai or Xinjiang province to Tibet, you must got the PSB permit before your tour starts. You will need to show it to the officers at the checking posts along the way to Lhasa. What does an Alien’s Travel Permit look like? Example of Alien Travel Permit. An Alien Travel Permit is required for travel into certain restricted areas of Tibet (most of the Tibet Autonomous Region) and the tourist holds the permit. Normally travel agencies can help foreign tourists apply for the permit once they have arrived in Tibet. 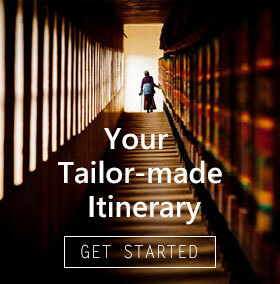 Which areas in Tibet need Alien’s Travel Permit? The tourists need an Alien’s Travel Permit to visit the unopened region in Tibet. Presently, only Lhasa and Nagqu are opened to foreigners and all other areas are regarded as unopened areas for foreigners. Shigatse Area: including Sakya Monastery, Mt. 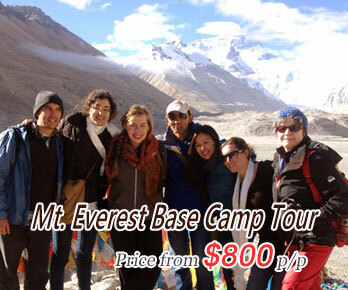 Everest & Everest Base Camp, Rongbuk Monastery, etc. 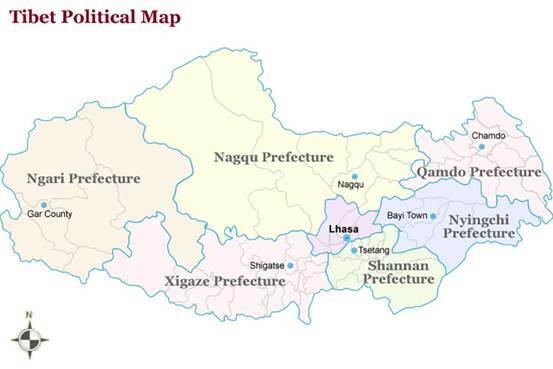 Gyangtse County: including Palcho Monastery &its Kubum Stupa, etc. Shannan Region: including Samye Monastery, Changdruk Temple, Yumbulagang Palace, Tomb of Tibetan King, etc. Nyingchi Region: including Basum Lake, Pomi, Rawu, etc. Ngari Region: including Mt. Kailash, Lake Manasarovar, etc.